Honor Your Mother- No Matter What? 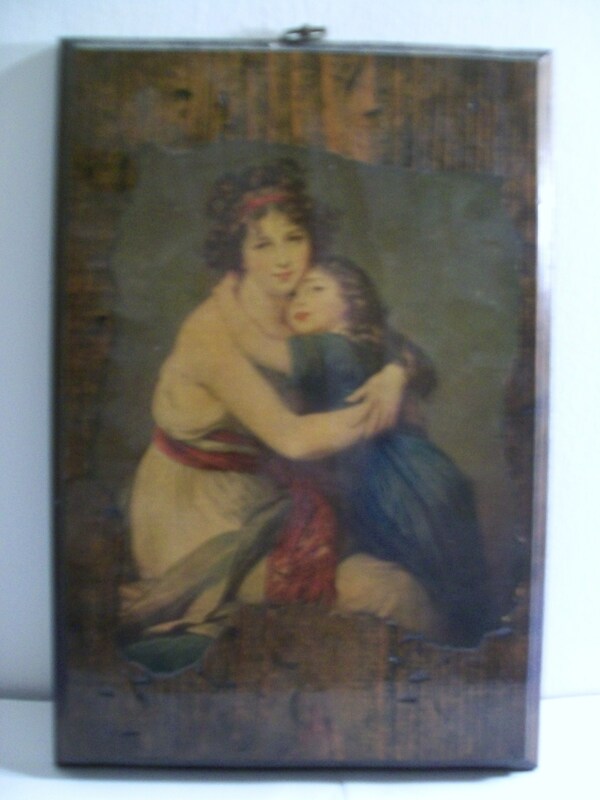 This mother-daughter painting drew my attention when I was about fourteen years old. At the time I could not have articulated why I bought it and hung it in a prominent place in my bedroom. It traveled with me from home to home for thirty-five years, always finding a spot on a wall. In hindsight the need I was trying to meet is clear. Due to interference I had only eleven years with my mother in a healthy mother-daughter relationship. She died twelve years ago this week. Some of us lost our mothers long ago. Our memories are the gateway to retaining or even gaining meaningful relationships with our moms. So what if those remembrances are dark or incomplete? What if as the only child, or the only one able to sift through history, the “facts” go left unchecked? Perhaps ultimately it doesn’t matter in the sense we are our own persons; the past does not decide our future. It’s important to recognize pain brought on by our parents’ mistakes. Validating disappointments is crucial to mental health. Yet today I choose to think on the good of my mother. Her homemade Christmas pajamas, strung popcorn, the child’s house she built for her daughter- all as much pieces of the real past as anything sadder that may have occurred. Whether we never met our mothers, had them only a short time, or even if yours will be at your table this Sunday, our feelings toward them will be shaped by our focus. This can be a celebratory Mothers’ Day if we choose it to be.